Arsenal have announced a day for all members of the official Arsenal ticket scheme. 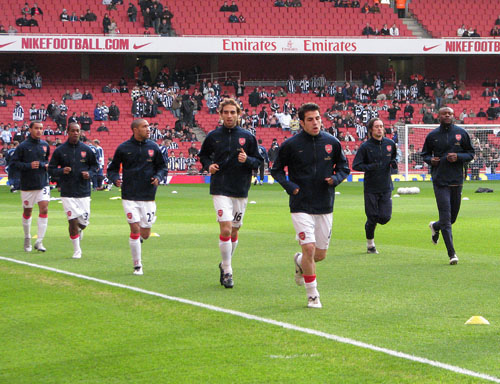 The date has been announced for Thursday 5th August 2010 at The Emirates Stadium. The day will start at 11:00. Those in attendance on the day will be able to see Arsene Wenger put the first team through their paces on the pitch. The squad will also be taking part in special Question & Answering sessions and signing sessions. This event is exclusively for members only and tickets are free and is certain to be a good day, so keep Thursday 5th August 2010 free in your diary! Tickets are limited to just 10,000 and are sure to go fast, so book now to avoid disappointment! Dutch battle back to stun Brazil! Birmingham Vs Arsenal Match Report, Kevin Phillips Sticks Dagger Through Arsenal Hearts!